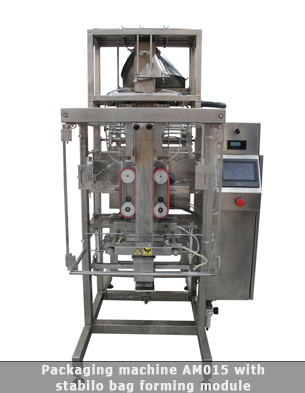 The vertical packaging machine AM017 is used for the forming, filling and sealing of plastic bags. 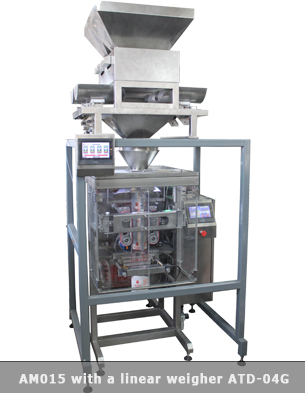 More information related to the working method and overall characteristics of the vertical packaging machine could be found here. Auto-tunning feature. 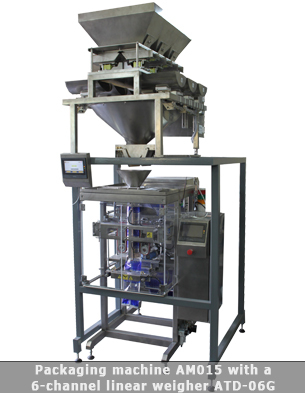 The software algorithm optimizes and adapts the machine's performance to the changing conditions of the working environment. Bag length setting in milimetters or via photocell. 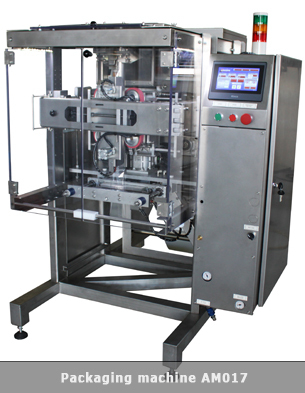 Possibility for integrating of different external devices like thermo transfer printers, label applicators etc. 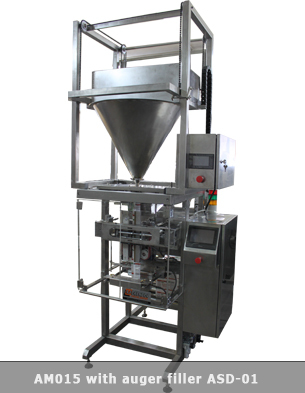 Video 1: Vertical packaging machine AM015, equipped with an auger filler ASD-01. 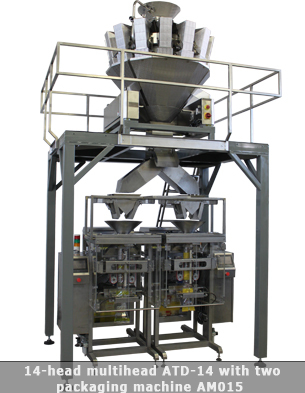 Video 2: Vertical packaging machine AM015, equipped with a 10-head multihead weigher ATD-10. 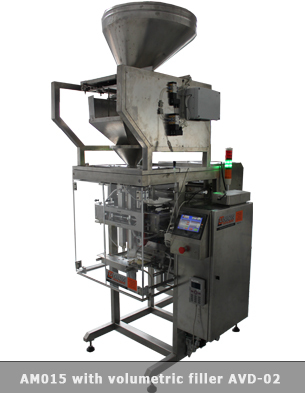 Video 3: Vertical packaging machine AM015, equipped with a volumetric filler AVD-02. 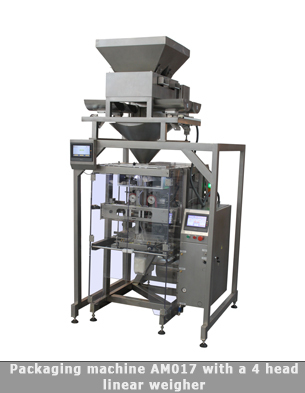 Video 4: Vertical packaging machine AM015, equipped with a 10-head multihead weigher.